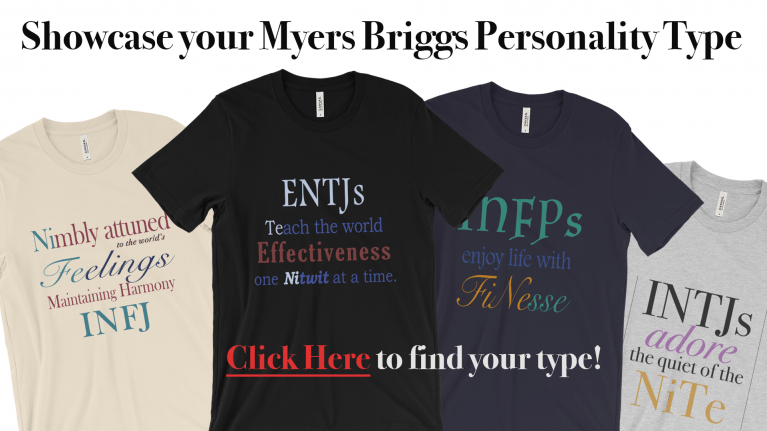 Myers-Briggs type indicator – full blown program with 160 questions. The MB test measures your personality preferences in 4 areas. of operation. The higher your score the stronger your preference. A zero or very low score means you have no preference either way. Your EI score indicates how you are energized. Your SN score indicates how you obtain information for your decisions. Your TF score measures you preference to operate from your head or your heart. Your JP score indicates how you like to order your life. affirmation from friends about who I am & how do I look. recharging his batteries. An Introvert is drained by being around people. base his decisions on experience, is down to earth, and notices details. this test, reading every question carefully. hunches, bases his decisions on possibilities, is innovative, imaginative. right than liked, remember facts better than faces. The thinker thinks the feeler is fuzzybrained. to be Thinkers & more women tend to be Feelers. others, asks himself 'how will this affect the people involved'. The feeler feels the thinker has ice in his veins. lists, thrives on order, likes to finish-the-job. and controlled; is decisive, deliberate. J's plan their work and work their plan. The population is equally divided between Js and Ps. statements. 'P' must generate alternatives for everything. Likes to keep his options open, but not always - it all depends. 60 % of the world's managers are TJ. rather than practicing for some future event. Waiting is the same as death. Likes diversity & trying new things. Easy come easy go. Not goal oriented. abandoning his path & striking out in a completely different direction. Optimistic, libertarian, social equality. Compulsion to perform. SP strengths are practicality, adept problem solving skills, resourcefulness. to give him a sense of purpose. As mate, enjoys intensity & a thrill a minute. of all the types to receive a college degree. obligations. Has a strong work ethic & desire for hierarchy & rule & order. appreciation. Drawn to institutions; banking, teaching, government, service. often overrides the fact that he is already overburdened. Backbone of society. SJ strengths are administration, dependability, ability to take charge. children. As teacher SJ places high importance on neatness & punctuality. durable clothes. 60% of public school teachers are SJ. understanding, control & power; not over people as much as over things. compact, logical, precise. Wastes few words. Doesn't like to state the obvious. cold, remote, detached & enigmatic. Vulnerable to all-work-and-no-play. the past is dead & gone. Is humiliated when others witness his errors. Not sensitive to emotions of others, capable of biting sarcasm. ability to speak & write clearly. is pregnant with becoming. Very sensitive to non-verbal communication. grow; strong empathy. Good at appearing to be what the beholder wants to see. romanticize experience. Hunger for relationships. to affirm others freely & easily. conflict. As a teacher, NF makes each student feel important & cared about. Desire to please & comfortable with theory makes NF an excellent student. nurture & support. Very tolerant of others, trustworthy, seldom critical. evil in others; strong empathy with others makes INFJ easily hurt. Leads from behind the scenes. Hard to get to know; complex personality. physical illness. Master of metaphor and good at painting word pictures. leads them to seek counseling themselves. but do not enjoy finishing the job. Strong independence, resist subordination. Finds himself surrounded by others looking for wisdom, inspiration, leadership. advertising people, character actors. Needs feedback of others. Has difficulty working within an institution or structured environment. cares deeply. A sparse 1% of the population makes them feel isolated. for perceived acts of impurity. Seeks unity of body & mind, emotion & intellect. without a complete grasp of details. Impatient with the hypothetical. missionary. Tends not to be a businessperson. Good at academics especially languages. adaptability in relationships, easy to live with - until ideals are violated. Convinced that pleasure now must be paid for with pain later. Often has a subtle tragic motif. policy & goals. Quick to abandon regulations; impatient with repeated errors. feelings are not usually part of the plan. Tireless in energy devoted to job. Good at working in structured groups, enjoys executive responsibilities. ENTJ husband is the boss & expects meals on time. ENTJ female has difficulty finding a mate she won't overwhelm. comes naturally. A builder of systems; the applier of theoretical models. Authority of others or the conventional wisdom does not impress the INTJ. is critical of what he finds. People perceive INTJ as unemotional, cold. As employees are dedicated to the institution rather than to people. mistakes in the emotional area. About 1% of the population. than judging them. Not comfortable being manipulated by others. Life with an ENTP mate tends to be a daring adventure. Enjoys brinkmanship. About 5% of the population. scanning tends to see inconsistencies immediately. Has excellent concentration. architecture of ideas; but INTP is not interested in the implementation. routine details. Prefer to work quietly, without interruption, and alone. Do not welcome constant social activity or disorganization in the home. expressing emotions verbally; so the mate may feel taken for granted. Home is usually calm, low key, and well ordered. reserve is difficult to penetrate. This makes INTP difficult to know. to the needs of others. About 1% of the population. others & tend to judge others in terms of standard operating procedures. correctly. ESTJ is more curious about new things than about new theories. tradition & institution and has difficulty understanding those who are not. Easy to get to know, do not tend to confuse people with double messages. About 13% of the population. ISTJ is dependable, guardian of institutions, Their word is their bond. or investment advisor. More interested in blue chip stock than in speculation. reform the spouse; may have a parent-child relationship with the spouse. Has distaste for ostentatious; tends to the durable & practical. ISTJ male is attracted to men-only groups & male ritual. About 6% of the population. appearances. Uses the words 'should' and 'should not'. Tradition is important. than the product. Good at teaching, preaching, coaching, people jobs. heart on their sleeve, need to be needed, loved, and appreciated. their fears that the worst will happen. Tend to be soft hearted & sentimental; remembers birthdays. Primary desire of ISFJ is to be of service & minister to individual needs. and may compensate by doing everything themselves - resulting in overwork. done; But not so good at following up all the boring administrative details. They have an endless supply of stories & jokes. Not good at deep commitment. personal tension leads them to avoid or break off relationships. fashions; enjoy good things of life; eat, drink & be merry; life is a party. students, avoid science & engineering, tend toward selling or business. Effective teachers & social workers. Love being in the limelight. and regulations. Loyal to "brothers" but can be insubordinate to authority. but lack of interest in verbal skills may be mistaken for learning disability. social reticence. Live epicurean lives here and now; Waiting is death. it is doing. High skill & awareness of color, movement, texture, touch. ISFP is the kindest of all the types. Francis of Assisi was probably an ISFP. academics. At home in the wild, good with animals, love nature.